Dr. Robert S. Feder is a Professor of Ophthalmology and the Chief of Corneal and External Disease Services at the Northwestern University Feinberg School of Medicine. He has been performing refractive surgery since 1991. Dr. Feder also performs cornea transplant and cataract surgery and is certified to use presbyopia correcting implants in patients undergoing cataract surgery. Dr. Feder completed his ophthalmology residency at Washington University in St. Louis, where he graduated with distinction. He also completed additional training in medical and surgical care of the cornea at the University of Iowa. Dr. Feder is board certified by the American Board of Ophthalmology and now serves as an examiner for the board. In addition to active participation in the American Academy of Ophthalmology, he also chairs the Preferred Practice Patterns Committee for all the specialties in ophthalmology. He has served on the Basic Clinical and Science Curriculum committee for refractive surgery, cataract surgery, and corneal disease. He is a member of the American Society of Cataract and Refractive Surgeons, the Cornea Society, and the Northwestern Medicine LASIK Physicians. Dr. Feder is also a member of the Paton Society, the Ocular Microbiology Immunology Group, and the Chicago Ophthalmological Society. Dr. Feder founded and runs the Chicago Cornea Association. Dr. Feder has co-authored two books on LASIK surgery. The first of these was published by the American Academy of Ophthalmology, for which Dr. Feder was one of seven invited authors. The second book, The LASIK Handbook: A Case-Based Approach, presents Dr. Feder’s patient-focused approach to LASIK surgery. 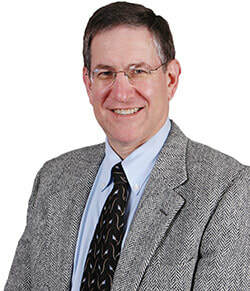 Dr. Feder has written extensively for professional journals and teaches at the medical school. He also serves on national committees and lectures frequently at symposia on corneal disease and refractive surgery. Dr. Feder has twice received the Best Teacher award by the Chicago Curriculum in Ophthalmology and has consistently been recognized as an outstanding physician by America’s Top Doctors, Best Doctors in America, and Chicago Magazine for over 15 years.